Awaken your senses amidst the opulence of our magnificent Imperial Spa Suite. 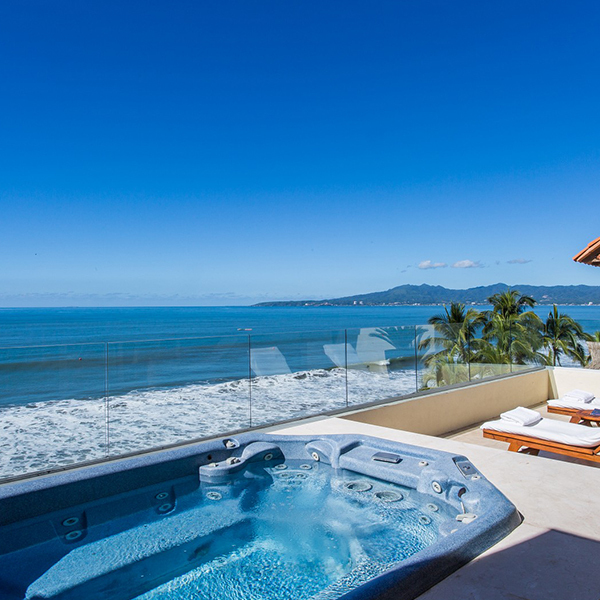 Breathe in the spirit of the Mexican Pacific on your oceanfront terrace with Jacuzzi, or retreat to the chic living area with original artwork. 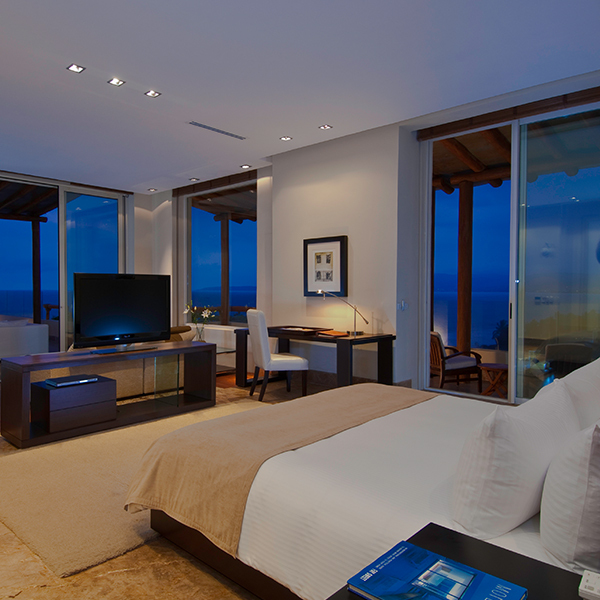 Enjoy stunning bedroom suites with oversize baths and incredible ocean views, plus exclusive Grand Velas amenities. 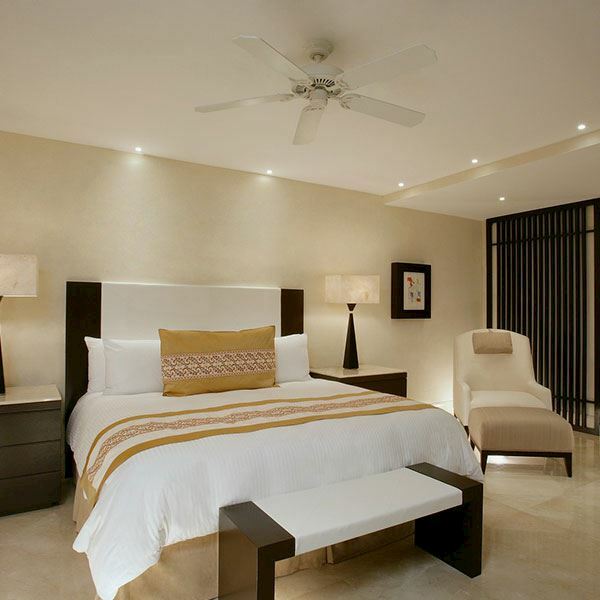 Experience the essence of luxury and comfort, Grand Velas style. We invite you to take in the romance and enchantment of Banderas Bay and the mystical Sierra Madre mountains from this fascinating space; admire fine artwork and absorb the healing benefits of a daily massage. Pampering services will leave you refreshed and renewed. 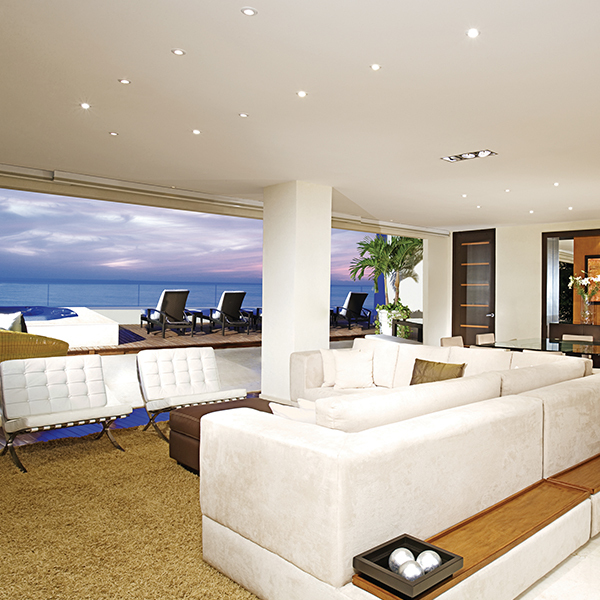 Master bedroom with 1 King bed, living room and private terrace facing the sea. Master bath with jacuzzi, two-person shower and dressing area. 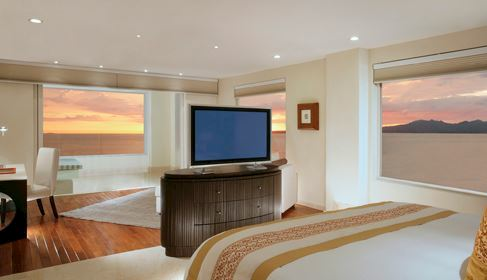 Second guest bedroom with King size bed, sitting area and ocean view.